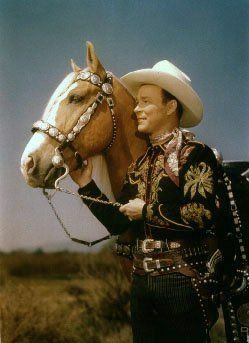 Did I ever tell you about the time I sang in church with Roy Rogers? It was the fall of 1969 during my senior year of high school and my family was newly attending a small church in Apple Valley, California. One Sunday morning the four of us traipsed into the little sanctuary toward a partially filled row. For some reason my eighth-grade brother, Jim, tried to squirm past me to get to the row first. Like a typical, annoyed older sister, I pushed him back and told him to sit on the end by Dad like he always did. After we were seated, I silently snickered as I checked out the man on my left: very uncool cowboy boots; dorky bolo tie; gaudy gold wristwatch with big red gems and a bear head. Looks like a real hick. 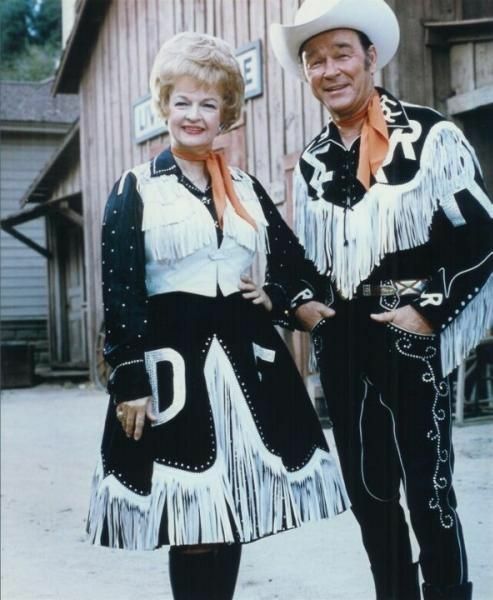 I gulped, scooted my chair closer to Roy, and when he offered to share his hymnal on the first song, took hold of it and sang my heart out with the King of Cowboys! Roy and Dale, married for 50 years, had plenty of “blue” trails—three prior, short, failed marriages for Dale beginning at age 14; the death in childbirth of Roy’s first wife; toddler daughter Robin’s death from Down Syndrome complications; and the deaths of two of their four adopted/foster children—12-year-old daughter Debbie in a bus accident; and son Sandy, who choked to death while serving in the U.S. Army. So you’re on an extremely blue trail—how are you going to ride it? Happy Trails to you, my friend, until we meet again. I laugh whenever I recall this incident because I’ve looked up Roy’s birthdate and know he turned 58 in November 1969—obviously “really old” to my 16-year-old eyes! You can listen to the original version online https://www.youtube.com/watch?v=hgw_yprN_-w or later versions by Van Halen and Randy Travis among others.